Close to All the Sights. 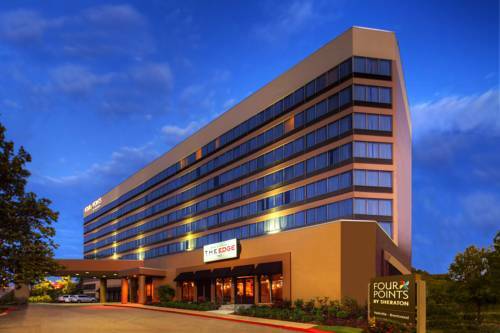 Join us at the Four Points by Sheraton Nashville - Brentwood, where youll enjoy boutique service, plenty of extras, and the convenience of being just 9 miles south of Nashville. Were close to hotspots like the Grand Ole Opry and LP Field, home of the Tennessee Titans, as well as natural attractions and major corporate offices. Were also within walking distance of great restaurants and retail shops. You Want It, Weve Got It. As a full-service hotel, were proud to offer everything you need when youre traveling. Be sure to enjoy some great meals and warm hospitality at our restaurant. And treat your body right at our fitness center, outdoor pool, or hot tub. Home away from Home. Our 212 guest rooms feature all the comforts you need, including the plush Four Points by Sheraton Four Comfort Bed . Youll also get free High Speed Internet Access and bottled water. Our top two floors are dedicated to executive suites. Were in a great location for you to see all that Brentwood and the Nashville area have to offer. Only 15 miles from Nashville International Airport (BNA), our hotel is adjacent to Brentwood Commons and a short drive from such renowned venues as the Grand Ole Opry, the Country Music Hall of Fame and Museum, and LP Field, home of the Tennessee Titans. Youll find plenty of great shopping nearby, like Cool Springs Galleria and 100 Oaks Mall. Nature lovers may be interested in the Nashville Zoo, Ellington Agricultural Center, and J. Percy Priest Lake. And if youre here on business, were close to the offices of AT&T, Siemens, Bank of America, Ford, General Electric, United Healthcare, FedEx, UPS, and Eaton Corporation.